Nutrition is an important part of a healthy lifestyle. 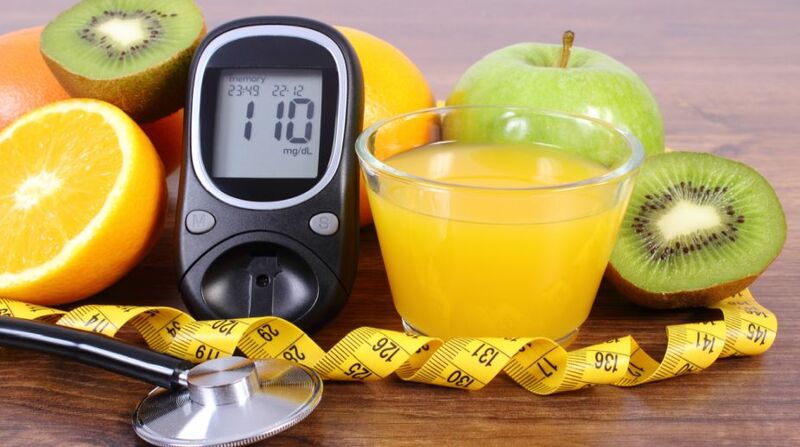 However when you are a diabetic, the nutrition becomes crucial. Everything, from what you eat, when you eat, and even how you cook it, is important since anything could shoot your blood sugar level beyond the desired range. In this form of Diabetes, also known as juvenile diabetes, the body stops producing insulin and thus, loses the capability to metabolise glucose. This calls for Insulin shots while diet plays a therapeutic role in keeping glucose under control. In Adult-onset diabetes, the body produces insulin but is not able to use it efficiently. As a result, blood sugar gets too high and causes troubles. Lifestyle modification is the most effective way of treatment designed around a special diet. Manage stress and enable good mood Since diabetes affects different individuals differently, the diet plan needs to be personalised. While this is better designed by a qualified nutritionist, there are certain food items that you must include in your diet. You may feel that diabetes means going without food you enjoy. The good news is that you can still eat your favorite food if you trim the portions down. The key to getting high on life as a diabetic is to eat a healthy plate filled with all five food groups. Low-fat dairy: Milk, yogurt and cheese Include heart-healthy fats from organic sources such as nuts and seeds, avocado, and oils (canola, olive oil, mustard, coconut, and rice bran oil) on an everyday basis. Eat breakfast. This will help maintain steady blood glucose levels. Add a rainbow of colors to the plate every day. This will help you get all the vitamins and minerals. Avoid soda and fruit drinks. They can skyrocket your blood sugar in no time. In Diabetes, you must maintain body weight 10 per cent lower than your ideal weight. So if engage in physical activity, increase the calorie intake as per the needs 60 per cent of which should come from carbohydrates, 15 to 20 per cent from protein, 15 to 20 per cent from fat. Restrict simple sugars since they are easily absorbed and have a high glycemic index. Timely intake of in between snacks to avoid hypoglycemia. Three main meals and three in between snacks and avoid fasting. While some need to eat at about same time each day, others can be flexible depending on the medicine and the type of insulin. Similarly for the diet and ratio of different nutrient groups required for an individual. Generic advice is effective only to a certain extent. For faster recovery and better results, personalised nutrition and close monitoring of calories is the only way to go. Try and achieve that. Eat responsibly!